There is something to be said about the marriage of experience and youth. It usually results in wisdom–or at the least a sort of magic. And magic is what seems to be coming from the new band, Donna Jean & the Tricksters. 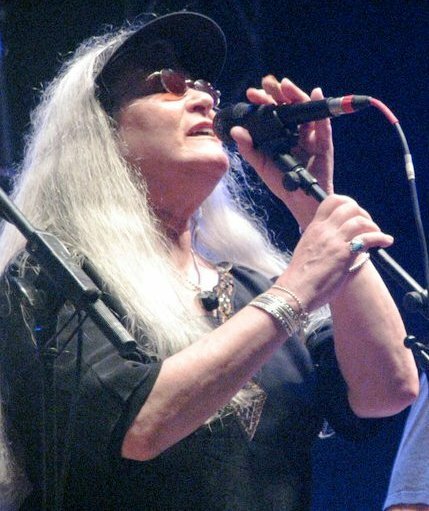 The experience comes from Donna Jean Godchaux-MacKay, known best for her harmony voice in the Grateful Dead, and keyboardist Mookie Siegel, who has played with the David Nelson Band, Phil & Friends, and RatDog. The youth element resides in Jeff Mattson (lead guitar), Klyph Blank (bass, dobro), Tom Circosta (rhythm guitar) and Dave Diamond (drums, percussion)—all members of Zen Tricksters– and vocalist Wendy Lanter. Their new self-titled album is a fine example of the scope of improvisational music that had its start nearly fifty years ago. For Donna Jean, though, music started earlier than that in the northeastern community of Florence, Alabama, where she was born. It is also the birthplace of W.C. Handy, the father of the blues, and Sam Phillips, who influenced the rock and roll careers of Chuck Berry, Jerry Lee Lewis, and Elvis Presley. "We have a rich music history that has just grown and grown and become one of the music capitals of the world," says Donna Jean. "I'm very proud to have come from here." This area is known for the Muscle Shoals sound that came out of two recording studios, FAME (Florence Alabama Music Enterprises) Studios and the Muscle Shoals Sound Studio. FAME helped define Aretha Franklin's signature sound and recorded Wilson Pickett and Otis Redding, while the Muscle Shoals Sound Studio recorded Bob Dylan, Paul Simon, Lynard Skynard, Eric Clapton, Rod Stewart, Willie Nelson, the Allman Brothers, and the Rolling Stones. At the tender age of nine, Donna Jean started writing songs. "When I was 12, I wrote a song and sang it on TV and played the piano in a local talent contest and won the talent contest," she remembers. "I've been writing songs really all my life." Then at fifteen, Donna Jean started singing professionally in those very same star-making studios. She did backup for Aretha Franklin, Otis Redding, and also appeared on Boz Scagg's first solo album, Percy Sledge's single "When A Man Loves a Woman," and even Elvis Presley's single "Suspicious Minds." "So that is definitely one arm of who I am musically," she says, "that deep pocket, back beat singing, that Muscle Shoals groove." In 1970, she moved to San Francisco where a new musical sound was being formed. She met and married Grateful Dead keyboard player, Keith Godchaux, and spent the decade singing with the Dead and with the Jerry Garcia Band. With drummer Greg Anton, she and Keith formed the band Heart of Gold. "Once I got into the Grateful Dead," Donna recalls, "Jerry actually encouraged me. He said, 'You need to be writing song to put on a record.' Which I did. I was greatly encouraged by his encouragement. I really started getting back into songwriting at about that time. I think the first thing I wrote for the Grateful Dead was 'Sunrise.' It's on Terrapin Station. I've been writing ever since, growing musically." Keith died in a car crash in 1980. Donna Jean moved back to Florence and later married bassist Dave Mackay. In the 90s, she recorded a new Heart of Gold Band album, At the Table, and started singing with her own band, the Donna Jean Band, and occasionally with Phil & Friends. 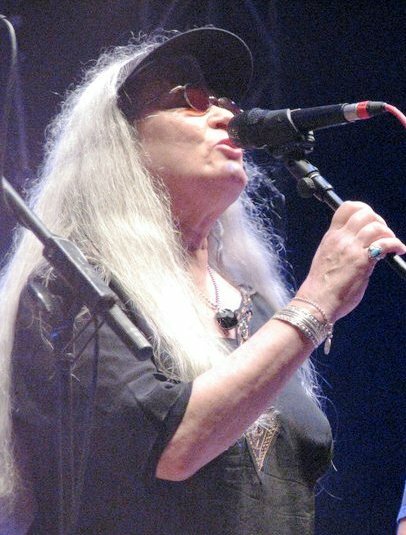 Then in 2005 at Gathering of the Vibes, the Zen Tricksters asked Donna Jean if she'd sing a couple of tunes with them. "I had heard of the Zen Tricksters," she says, "But I had never heard them. I got to hang out with them backstage. I just realized, number one, they were really, really cool people, very down to earth, and into making the best music that they could make and as well as they do. My gosh, they're great musicians!" Donna Jean ran into them again at a Rex Foundation Benefit that same year. Jeff Mattson started sending her Zen Trickster CDs, and she started sending them music that she had written. "I was blown away by listening to their CDs and realized that they're not just a Grateful Dead cover band," she says. "They've moved on from that. They write their own songs. They're great songwriters. So, that really got me thinking about doing more things with them, and they were thinking the same thing as well." When they finally did a gig together at the Rex Foundation Black Tie-Dyed Ball in 2006, they were in sync. "Once we got to rehearsal there, I got to see their range as far as what they could play. They were all very, very broad in their musical knowledge of different genres of music. So when I brought in my stuff, which carried a lot of weight, with that Muscle Shoals back beat, deep pocket groove, they could do that just as well as they could do anything else. I was just way impressed," Donna Jean says proudly. Almost three decades ago, the Zen Tricksters formed on Long Island and soon began appearing annually at the Gathering of the Vibes. The band, like many new bands today, is equally comfortable mixing genres and crossing into uncharted territory. "This band is rich and full with songwriters and singers," says Donna Jean. The Zen Tricksters have continued to write and contributed new material to the new Donna Jean & the Tricksters release. Even the drummer, Dave Diamond, brings a couple to the table as well. It's often unusual to find a drummer who sings, much less one who writes lyrics and melodies. The Tricksters, however, have the addition of Mookie Siegel's unique keyboard work and another voice. "Every time I would do a demo of one of the songs I had written," says Donna Jean, "I would always have this high girl harmony part on it. I was always disappointed I was not hearing that on other musical situations that I was in. So that's why I asked for Wendy Lanter to come on board as well, and she just fills that bill beautifully. We harmonize beautifully together. She has been a friend of the Zen Tricksters for years and years. So what we have come up with today is something that we all are very, very proud of." What Donna Jean and the band have created is a very vibrant recording that has allowed each member of the group to shine. There is a generosity that is present among all of the band members. This isn't a Donna Jean showcase, in the sense that she is always out front of the band, putting them second to her voice or her experience. She is able to handle lead vocals masterfully and then step back into the backup vocal position with aplomb. "That is part of my legacy, and I wouldn't have it any other way," Donna Jean remarks. "I am fortunate enough to get to be in a band where I get to do everything I want to do, as well I get to be everything else that I am of a supportive nature. It's not even like I'm giving up anything. I'm enriched by it. It's all good." And the other band members willingly take up lead vocal duties to suit the song. They also add great deeper harmonies to the mix. All of the songs on this album are fantastic, but there are several cuts of particular note. One is the Dave Diamond song, "Weight of the World," that calls the world to peace with an Afro-world beat. Another is Donna Jean's pop/soul tune, "Shelter." The style is surprising coming from an improvisational band, but harkens back to Donna Jean's Muscle Shoals roots. It is a moody, poetic social consciousness piece that lingers with you long after the song has ended. Then, there's Jeff Mattson's "Travelin' Light" and Keith Godchaux's "Farewell Jack." Both are just fun Deadesque cuts with Donna Jean and Wendy Lanter's harmonies countered with Trickster vocals on one and Mookie Siegal's sweet keyboard work on the other. But my absolute favorite are Tom Circosta's love song, "Moments Away," a haunting, folky, almost gospel tune, and Klyph Black's "Reno," a flat-out honky tonk rock tune that is made extra special by Siegal's flamboyant piano and the energetic backup vocals. "Reno" just ties up the great, good fun of the entire album and leaves you tapping your foot, with a grin on your face. Could Jerry Garcia have ever asked for more than for a band of another generation to take from his legacy and carry it forward into something totally their own? "That's exactly what Garcia intended," says Donna Jean. "He didn't intend to be a guru himself. He intended to pass on something that other people could incorporate into their lives. I know that he's smiling about everything that's taking place now, because it's what he wanted to happen. He didn't want it to stop with the Grateful Dead. In fact, he had the opposite approach to even playing music that when it's heard it does something to people to where they are inclined to not only get it themselves but to pass it on....I'm sure that Jerry would be so amazed that it has carried on like it has. Even after his death, it's not less; it's more." And you'll find that some of that "more" in Donna Jean & the Tricksters. They will be appearing live on World Café on PBS stations across the country on Friday, February 22. That appearance and their official CD Release Party and Benefit for the Rex Foundation at the Knitting Factory the next night will kick off their CD Release Celebration Tour in March and April, which will have them playing throughout the Northeast, making a swing through the deep South, then coming up to through the Midwest as far as Minneapolis. "I'm just very comfortable with just everything that is going on, both in my personal life and musically," says Donna Jean. "I'm just being who I am, and I've never felt so liberated in my whole life." Hmmm. Besides the musical magic, there is indeed some deep wisdom here after all.